Closets represent a somewhat neglected and often-overlooked aspect of remodeling your home. Even though you hardly pay attention to closets because you spend so little time in them, they are a vital part of your home. Sprucing up your closets doesn’t take a lot of work when you add some lighting, shelving and curtain rods. What about the closet flooring? Could your closet floors use a little extra attention? 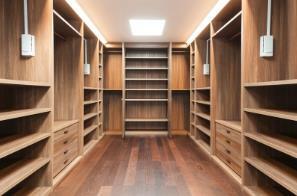 Different types of closets may need various kinds of flooring options. Discover the design elements that go into the flooring of your closets. Hardwood, laminate and vinyl flooring represent the best choices for walk-in closets. That’s because you probably walk into these closets in your bare feet, and you want to be comfortable while having a durable floor at the same time. 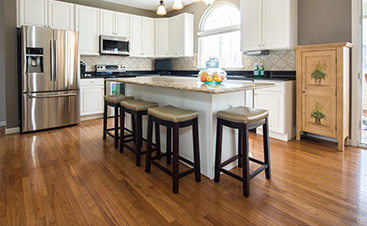 Hardwood flooring, laminate, and vinyl are easier to complement other aspects of rooms when it comes to neutral tones. You can also match design elements of your bedroom furniture, any shelving in the closet and the decorating style of the adjacent room. Laminate and vinyl offer less expensive alternatives to hardwood flooring while giving your closet the hardwood look. Even if your adjacent room is carpeted, a vinyl or laminate floor can match other design elements for an aesthetically pleasing look. You can also get ceramic tile or stone flooring for a walk-in closet. The caveat here is to place a throw rug in the middle of the floor so your feet stay warmer. Just make sure you’re willing to take the throw rug out of the closet to clean it every week. Carpeting is out because it’s harder to keep clean in a closet when you have to try to vacuum in every nook, cranny, and corner of your space. It’s hard to move around racks of clothing when you try to keep your walk-in closet clean every week. If you drag in mud or dirt from your shoes, that can present problems for cleaning the carpet. Pet stains can also become difficult to handle when you have carpets in your closets. Additionally, the carpeting may pull up at the edges, which could cause a trip or fall. Tripping in a closet may lead to serious injuries because there are plenty of surfaces on which to bump your head or catch your arm. Smaller closets have fewer concerns over aesthetics. 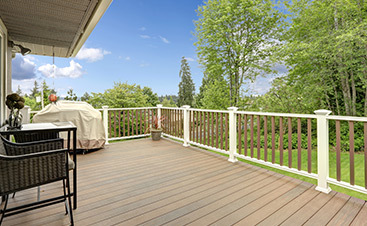 So long as you have a solid floor that looks good, the sturdiness of the floor is the most important consideration. Take into account the purpose of the closet. Do you need it for hanging clothes or storing your family’s Christmas ornaments? Do you put seasonal items in here or bins filled with collectibles? How about using the space for boxes filled with miscellaneous stuff? Getting ready to put in new flooring in your closets marks a great time to do a little housecleaning. Can you put some of this stuff in a storage facility or in your garage? Free up some space to see what you have. Consider repurposing that neglected closet in the back, and start by getting in a new floor. For smaller closets, carpeting may be a good choice. Chances are good that the subfloor might be a bit neglected or even drafty. In this instance, a carpet with padding underneath serves as insulation against the cold. Just keep your pets out of the closet by closing the door when you’re not using the closet. Your closet’s lighting choices may determine the type of flooring you want. If you have plenty of bright lights in your closet, feel free to try a darker shade of flooring. On the other hand, you may want as much brightness as possible since you don’t have any windows in the closet. Lighter shades of hardwood, vinyl, tile and laminate make the room brighter automatically, no matter what kind of light you put in the closet. Try expanding your lighting options in a closet. Track lighting allows you to put multiple, directional light bulbs onto one basic wiring circuit. Changing out a light fixture with one bulb and replacing it with a two- or three-bulb fixture multiplies your available light. You want to be able to see every corner of your closet, so work out how your lighting determines your floor choice. Figure out what’s underneath your closet floor to determine the best choices for your visible floor. 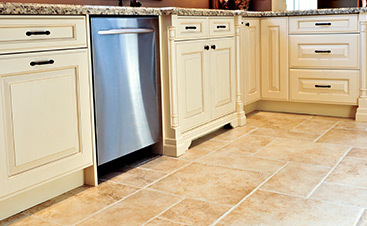 Your flooring contractor may need to add extra supports if you want ceramic or tile. If you have a slant in your floor, you might need an extra joist to support the subfloor. Some older homes may have heating elements or vents in the closet, so that’s a consideration as well. Let a team of professionals look at what you have, and they can design the best flooring option for you. Maybe you need to take up the old floor and replace it with a new one, or maybe refinishing your original floor makes more sense.